Victorias Secret Victorias Secret Shea Essence Indulgence Body Mist Wrap yourself in luxurious kisses, an indulgent blend of sandalwood and black plum from the limited edition VS Fantasies Shea Collection. This skin-loving body mist is infused with nourishing shea essence and conditioning aloe vera. Product #: Regular price: Rs.2100INR852(Sale ends 01 January ) Available from: DeoBazaar.com Condition: New In stock! Order now! Wrap yourself in luxurious kisses, an indulgent blend of sandalwood and black plum from the limited edition VS Fantasies Shea Collection. 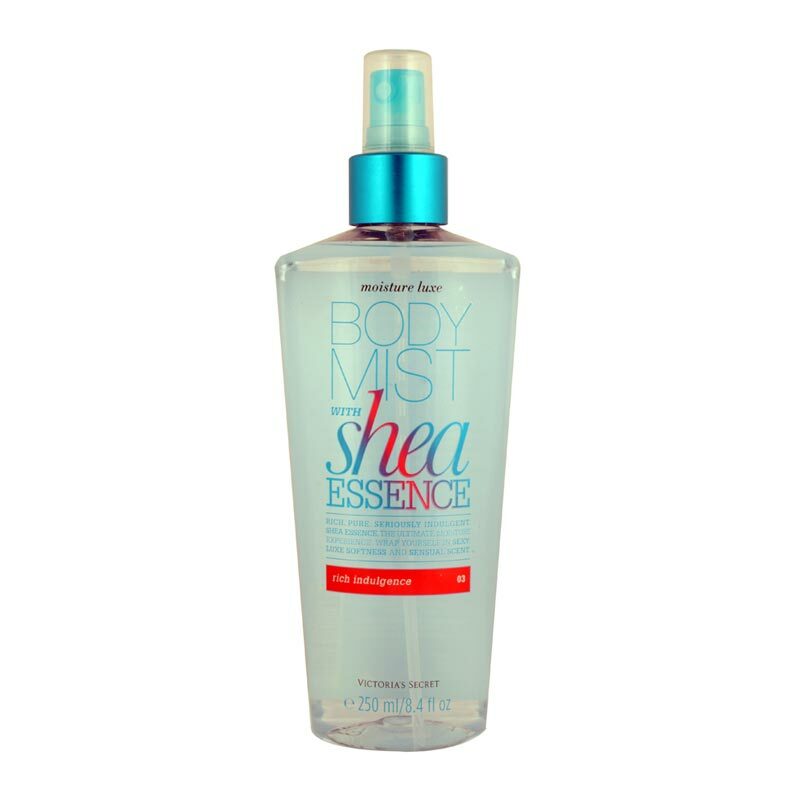 This skin-loving body mist is infused with nourishing shea essence and conditioning aloe vera.